This book is a classic in nonfiction literature. When published in 1931, The American Black Chamber was an instant sensation and quickly became a best-seller. Erle Stanley Gardner termed the book "one of the most interesting books I have ever read." 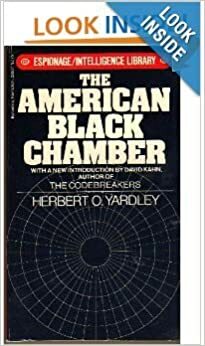 For those interested in real-life spies, intelligence, breaking codes, and especially intrigue, The American Black Chamber is one of the most absorbing nonfiction books ever published.